Kosovorotka is a traditional Russian shirt from old Slavic times. 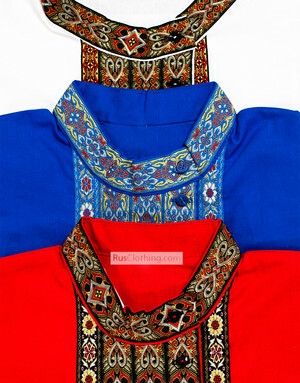 Traditional Russian shirts made of cotton are offering best Russian traditions in the most popular example. 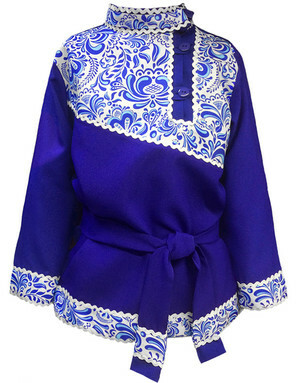 Highlighted with stylish embroidered ribbon at the collar and chest along two sides. 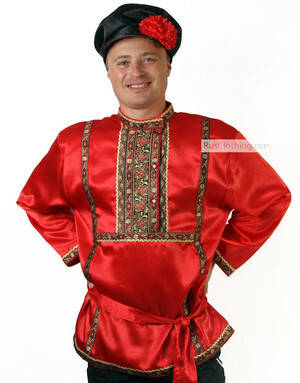 Russian shirt can be worn with or without belt. Ethnic touch will add special charm to your boys look. This Russian shirt is individually made, not factory mass produced. Different colours are available for any performances. I received the traditional shirts today. Both the red shirt and blue shirt are wonderful. They are made beautifully. Thank you very much.